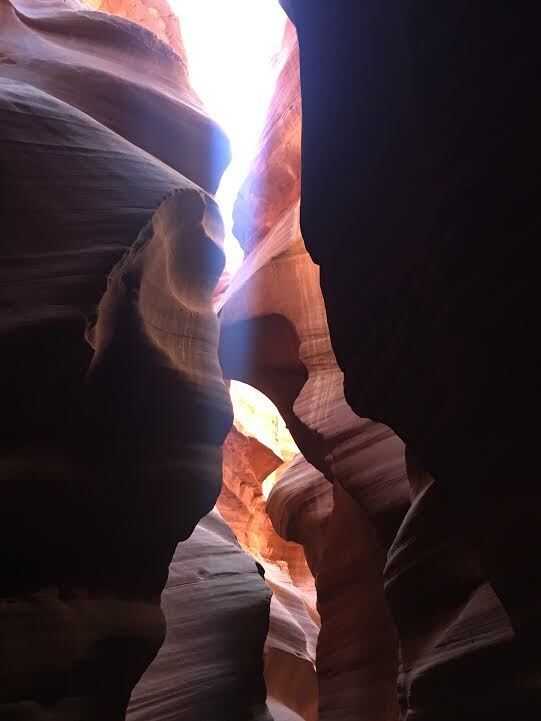 PAGE, Ariz. — Somewhere between the wide, sweeping views of Glen Canyon National Recreation Area – which includes Lake Powell – and the narrow, breathtaking sights of Horseshoe Bend Slot Canyon exists a magic that can only be found within the space of a sacred land. 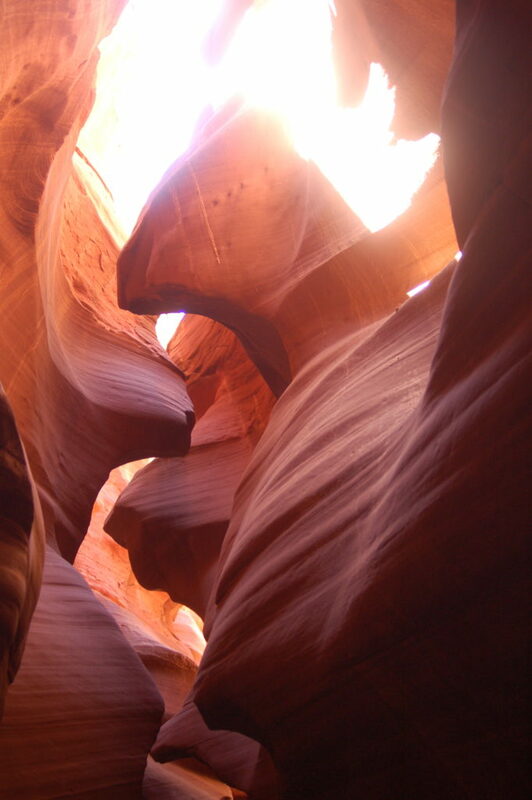 It is a land rife with unparalleled beauty. It is a land that tells the tale of an ancient people and an even more ancient geography. It is not an overstatement to say that experiencing this magic is the opportunity of a lifetime. At least that was the case for me. 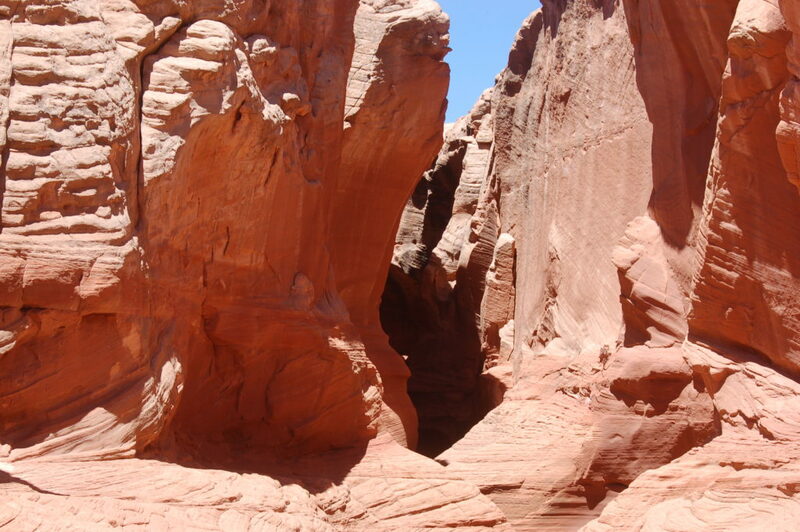 My cousins grew up in Page and I spent many summers playing at Lake Powell and in the surrounding desert. 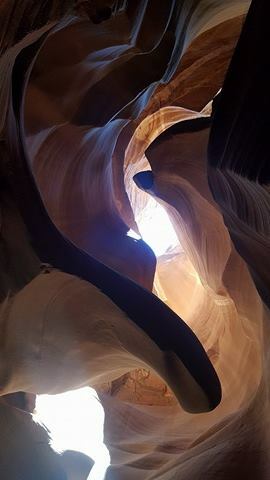 So well before slot canyons like Antelope Canyon became bucket list destinations, I had heard of the wonders of these places. 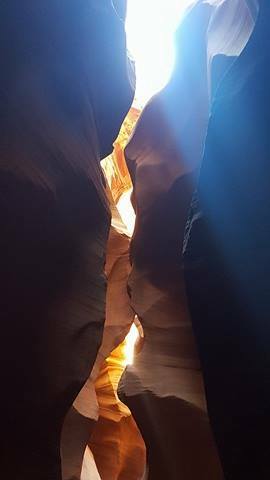 Back then we called them “skinny caves.” Yet for all my youthful exploring of the area, I never had the chance to see them. 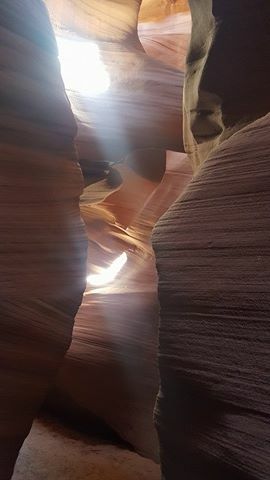 There are hundreds, if not thousands, of slot canyons near Page, but most are inaccessible and most are located on Navajo Nation land, including Horseshoe Bend Slot Canyon, which can only be accessed through Horseshoe Bend Slot Canyon Tours. 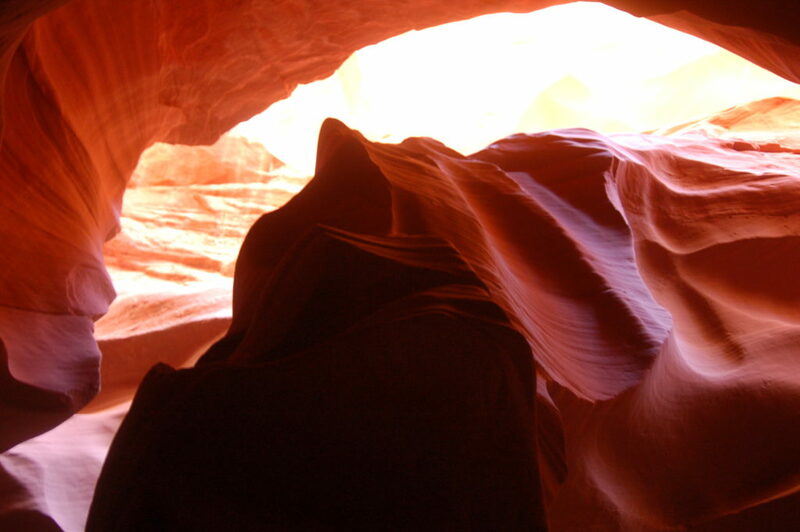 For the average tourist wanting to see the slot canyons, the easiest way is to hire a guide service. 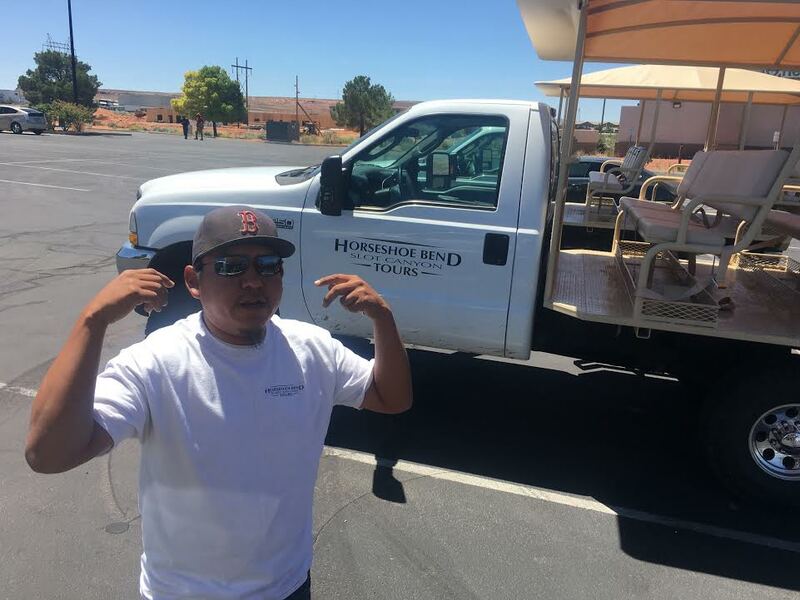 Horseshoe Bend Slot Canyon Tours is a Navajo-owned company that offers tours into the canyon, which is also known as Secret Canyon or Upper Waterholes. 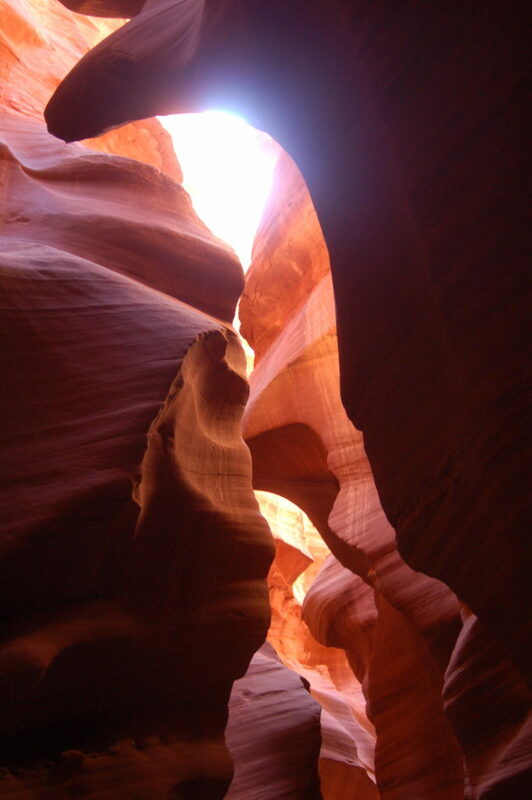 The latter name refers to the fact that the canyon is part of the drainage system for Waterholes Canyon. 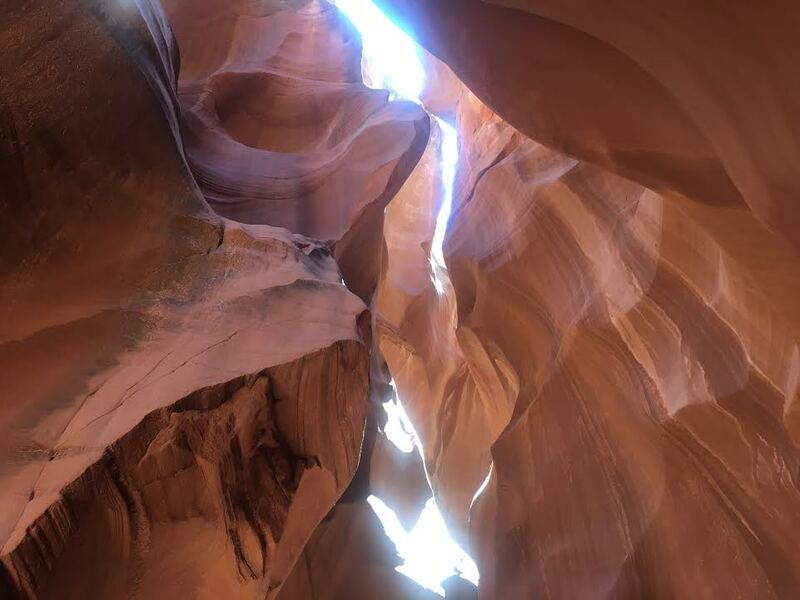 During heavy rains, flash flood waters flow through the slots and washes, cross westward under Highway 89 and drop through a steep, narrow canyon on the way to the Colorado River. 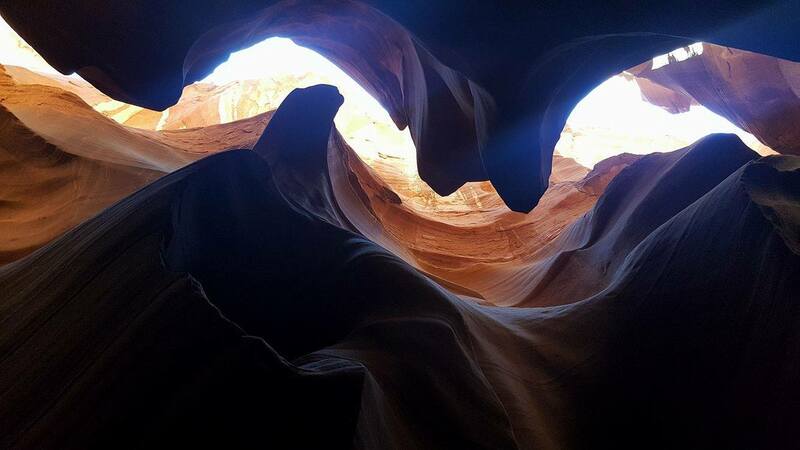 The Horseshoe Bend Slot Canyon moniker references the canyon’s proximity to the world famous Horseshoe Bend Overlook where a section of the winding Colorado River creates a horseshoe shape 1,000 feet below the lookout point. 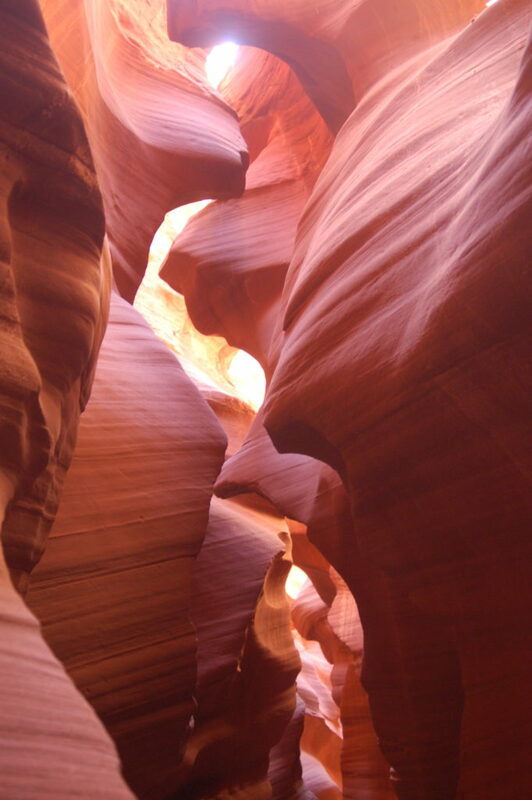 Savvy guests might see a similar horseshoe shape within the slot canyon walls, another reason for the canyon’s name. Horseshoe Bend Slot Canyon Tours limits the amount of guests per tour in order to preserve the pristine canyon, as well as to give visitors an uniquely intimate experience; our group consisted of 14 guests and one guide. 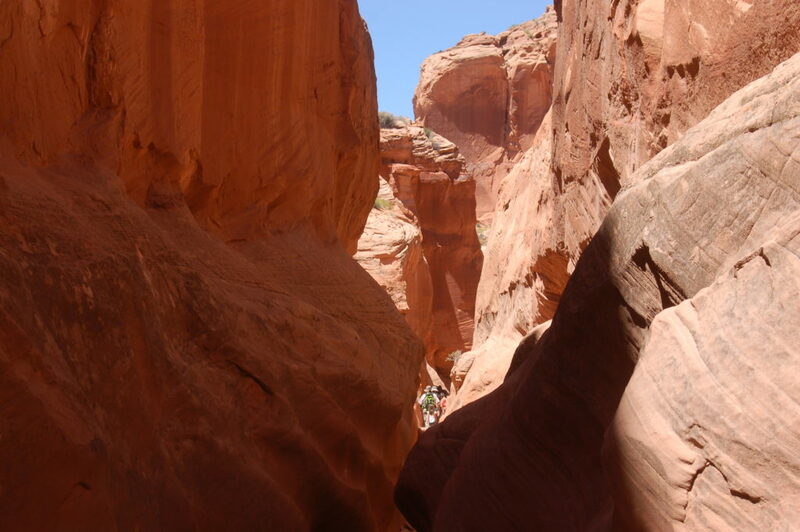 The approach to the slot canyon is a mild quarter-mile hike. 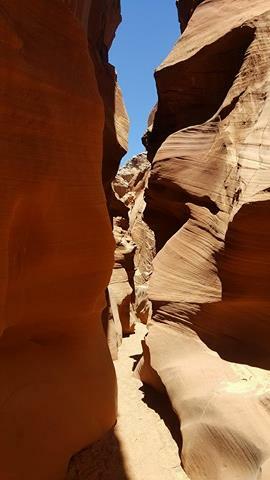 En route to the canyon, guests enjoy views of the desert landscape that include interesting rock formations and desert flora and fauna. 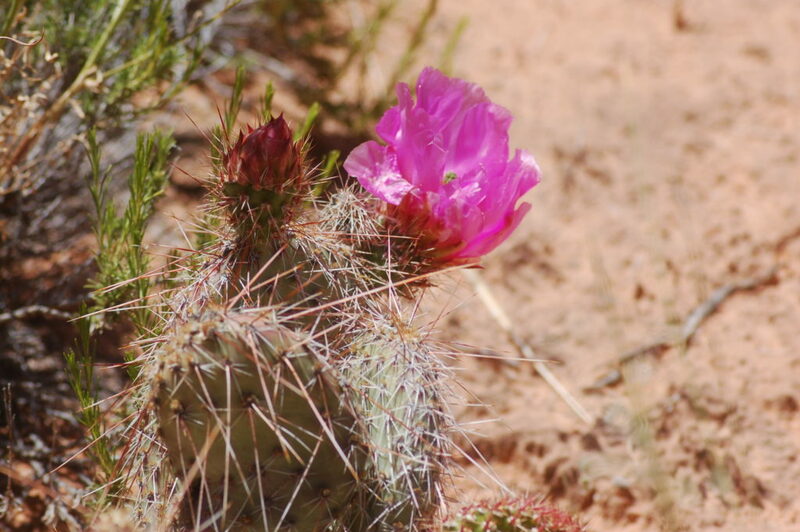 Our Navajo guide, Chance Williams, educated the group on the various medicinal, practical and spiritual uses of desert plant species seen on the hike as well as regaled us with tales of his ancestors. 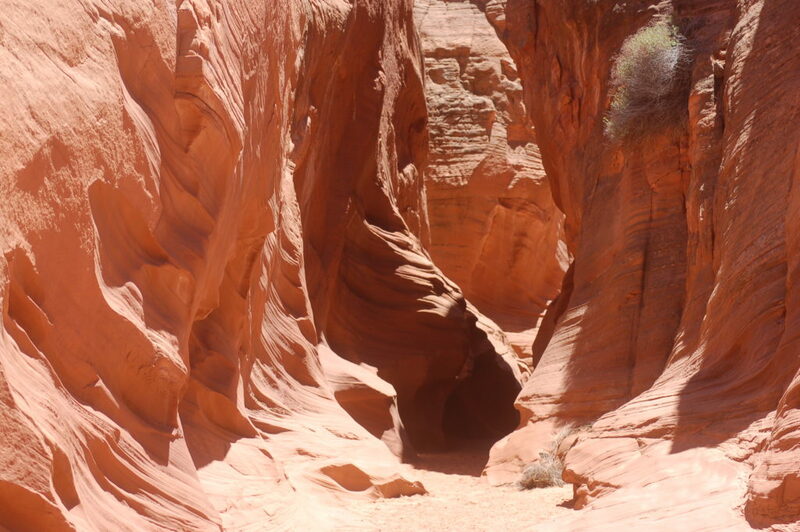 Horseshoe Bend Slot Canyon is situated on Williams’ family’s grazing land or range management unit, Williams said. 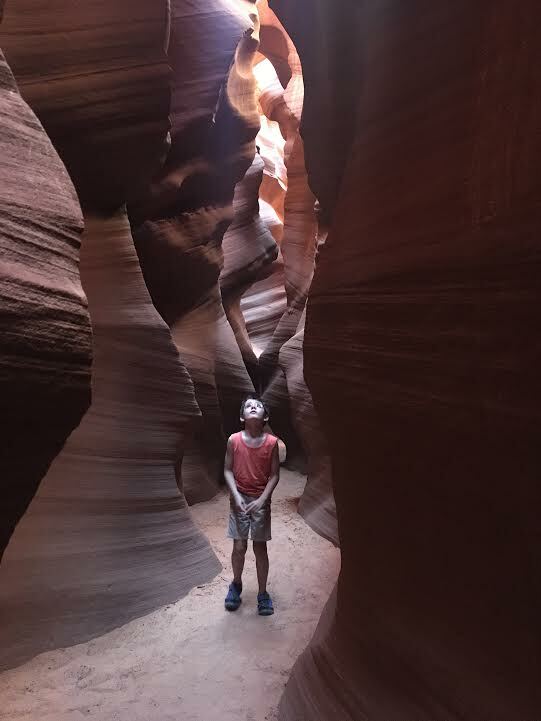 His relatives discovered the slot canyon nearly 100 years ago, and they have been dedicated to protecting and preserving it for several decades. Williams said that many of their traditions are dying out, so it is important for his family to be able to pass on their traditions to the younger generations and share them with guests in order to preserve their way of life and the land that gives them that way of life. 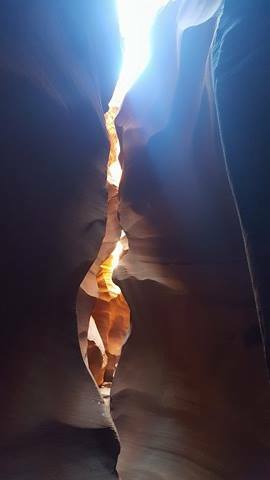 To walk through the Horseshoe Bend Slot Canyon is to walk through time itself and witness Earth’s history, present and future in one moment. 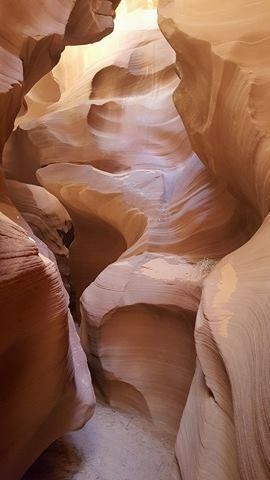 The approach is wide and the walls are low, but even then it is easy to see how wind and water have steadily unveiled layers of sandstone and limestone, creating a labyrinthine path of wonder. 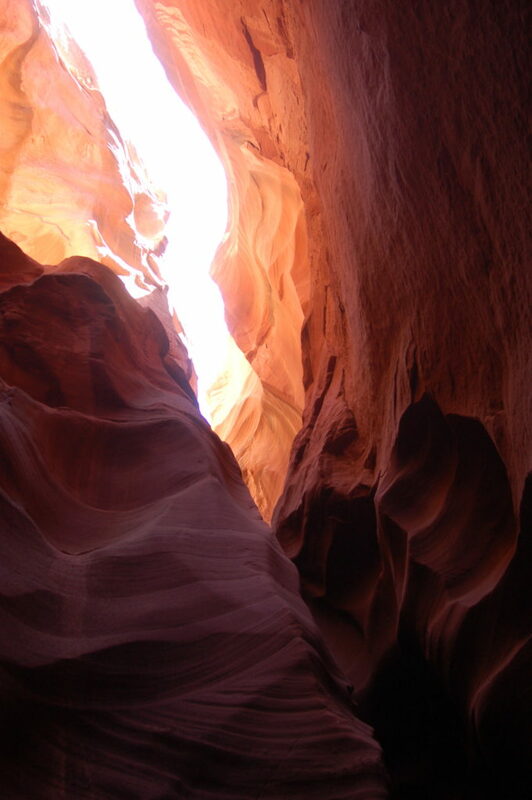 The farther into the canyon guests travel, the more narrow and high the walls become. 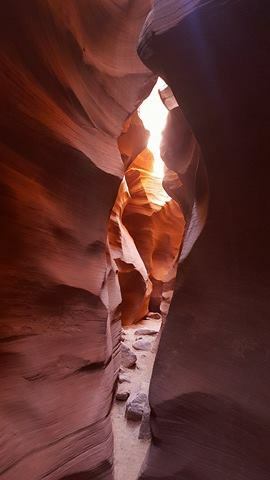 It is in the heart of the slot canyon where light filters through small cracks and the rich hues of the rock change from white and brown to coral and pink. The views are truly astounding. 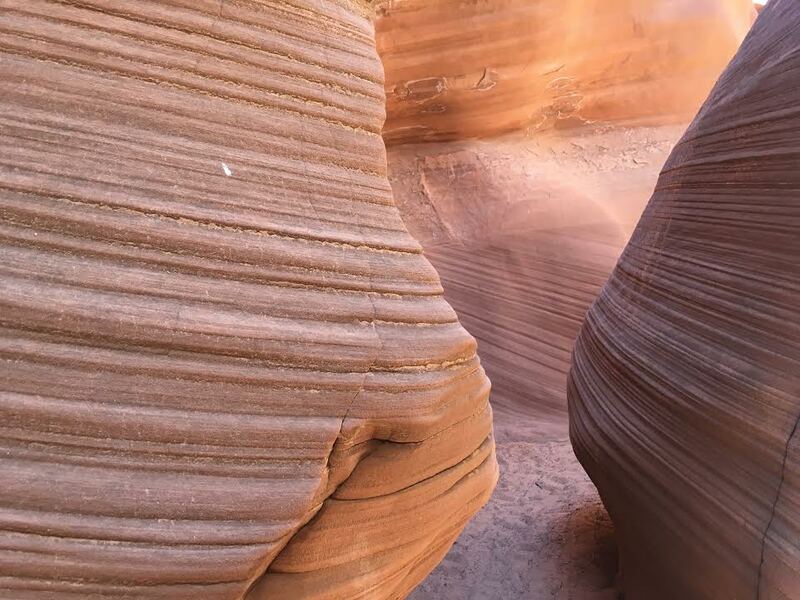 Because the tour limits guests to small groups, there is ample opportunity to wander the canyon and take photos before returning to the vehicle and journeying back. 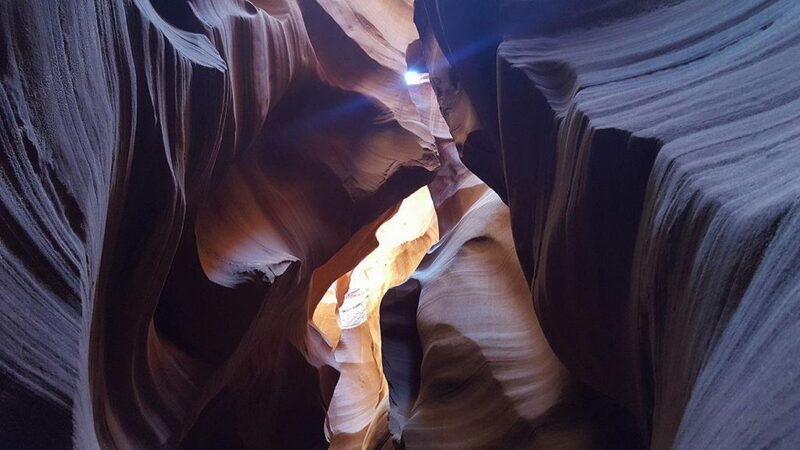 The canyon is undoubtedly a professional photographer’s dream, but even an average shutterbug can take some decent pictures. Pictures in the photo gallery below were taken with a combination of an iPhone 6, a Samsung Galaxy Note 5 and a Nikon digital single-lens reflex camera. 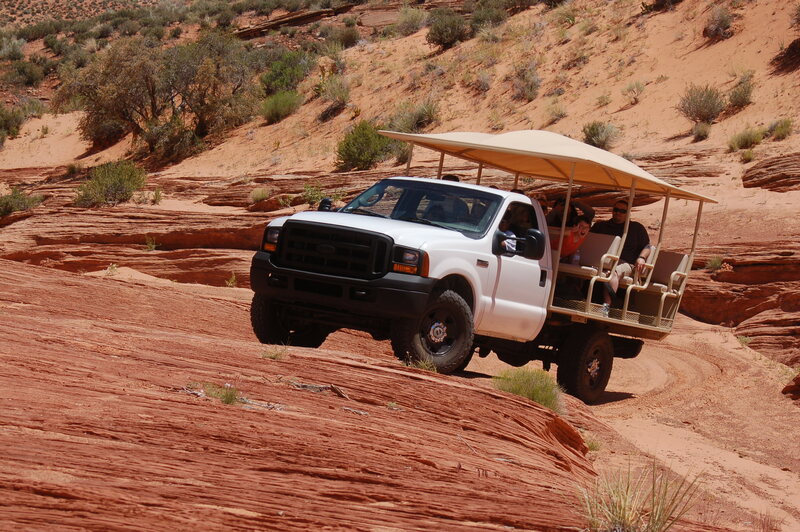 Horseshoe Bend Slot Canyon Tours operate tours seven days a week (weather permitting). 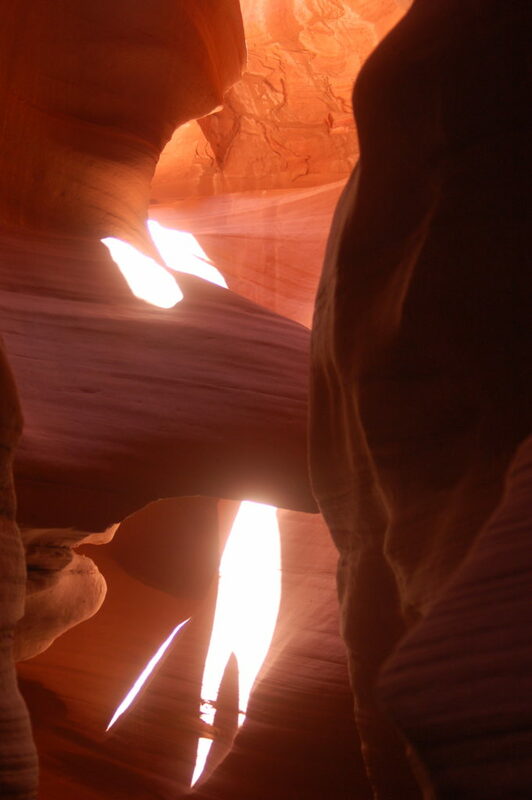 There are multiple options for viewing the slot canyon including the basic slot canyon tour, a combination slot canyon tour and Horseshoe Bend Overlook tour and private tours for commercial and professional photographers. Tours can be booked online, and it is suggested that guests book their tour at least one day in advance. Tours are open to guests aged 6 and over. Pregnant women and those with medical conditions are urged to talk with their physician before joining the tour. 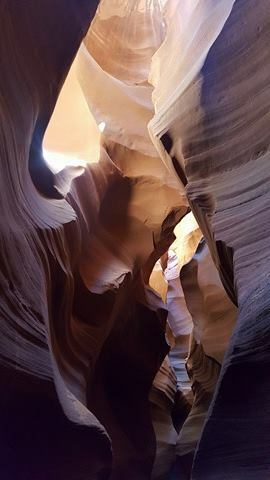 Water is provided and guests are able to bring their own water bottles, but large backpacks are not allowed in order to protect the rock formations from scrapes. Monopods are allowed on the basic tour, but photographers wishing to bring a tripod must book a private excursion. A full list of frequently asked questions and the answers can be found here. 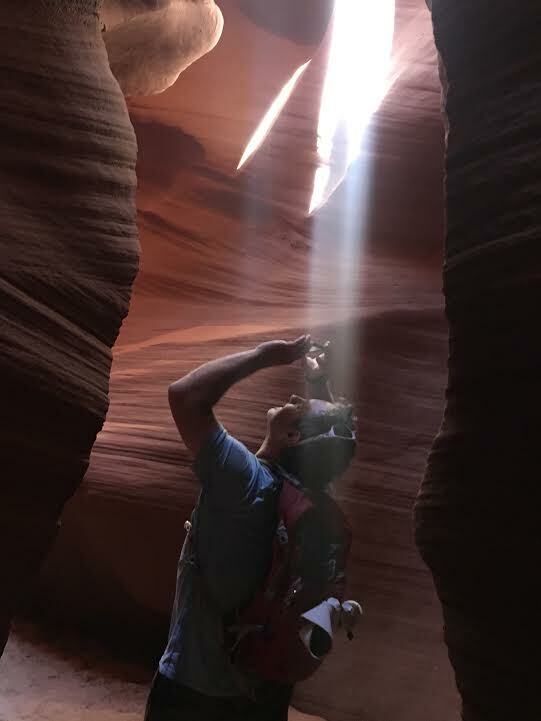 Horseshoe Bend Slot Canyon Tours | Instagram | Facebook | Telephone: 435-275-4594. From St. George Boulevard, take Interstate 15 North to Exit 16, state Route 9 toward Hurricane/Zion National Park, about 7 miles. Take SR-9 about 10 miles to 100 East in Hurricane; turn right. Turn left at first cross street onto state Route 59, follow 22 miles. As you enter Arizona, the road changes to Arizona state Route 389. Continue on Arizona, SR-389 for about 36 miles to Fredonia, Arizona. 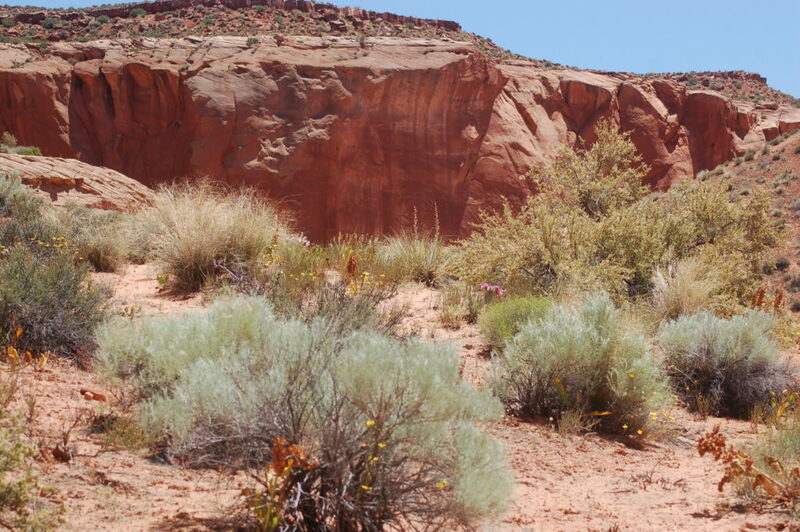 In Fredonia, turn left onto Highway 89A and continue for 6.8 miles to Kanab, Utah. 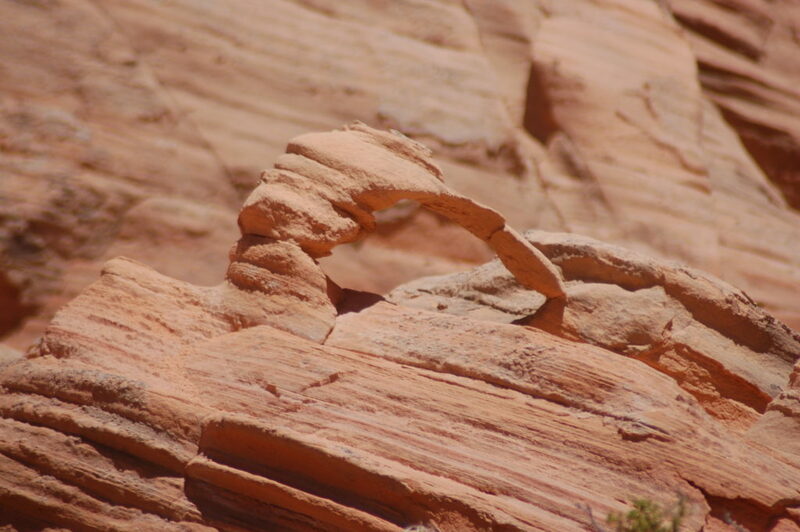 In Kanab, turn right on Highway 89 and continue for approximately 74 miles. 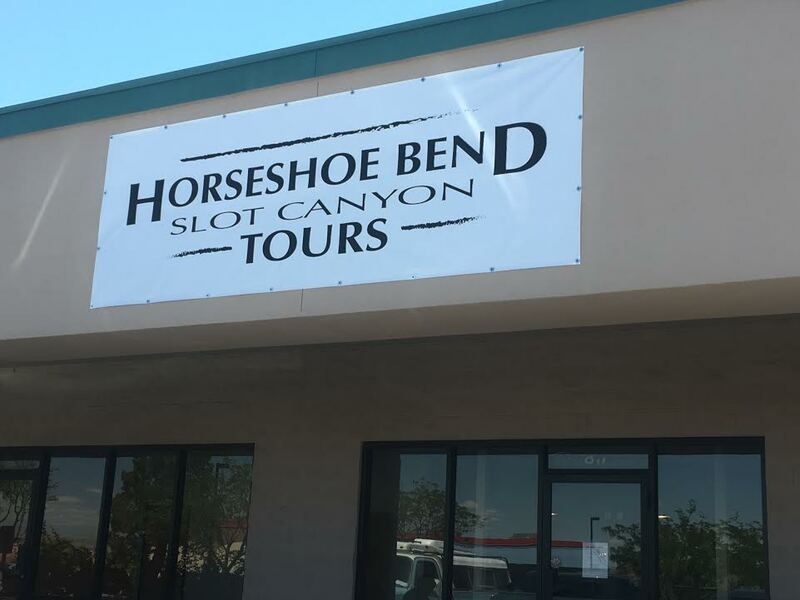 Horseshoe Bend Slot Canyon Tours is located on the east side of Highway 89 in the same parking lot as a Subway sandwich shop and O’Reilly Automotive, see photo location.